The process of redeeming an iOS promo code is two-part. 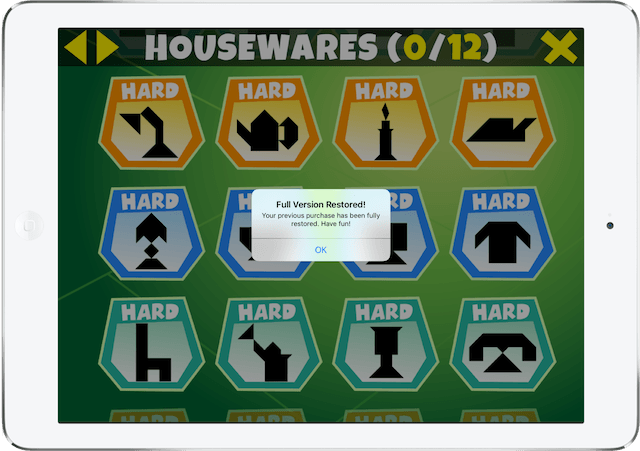 The first part happens in the iOS App Store app, and the second part takes place in Kinder Tangram. Before you initiate an in-app purchase promo code, please ensure our app is already installed on your device. Step 1: Launch the App Store app. Tap on one of the following tabs - Today, Games or Apps. Then, scroll all the way to the bottom. You will see a "Redeem" button. Tap it. Step 2: Enter your iOS promo code. You might be asked to enter the password for your Apple ID, please do so. 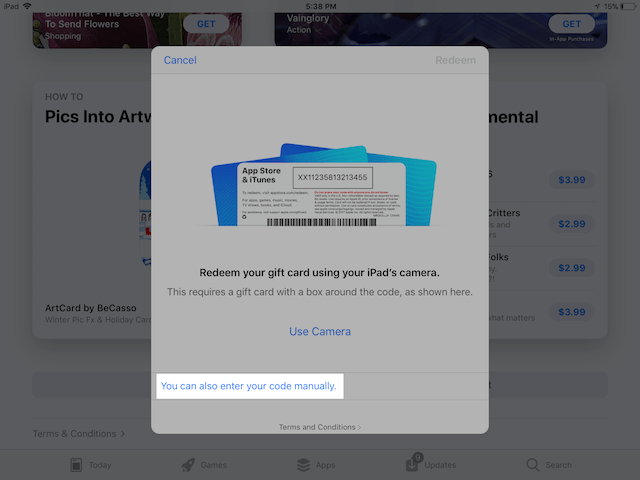 Important: Ensure the same Apple ID is used to install the app & to redeem the promo code. Step 3: This is what you will see on your device when the promo code is successfully redeemed. 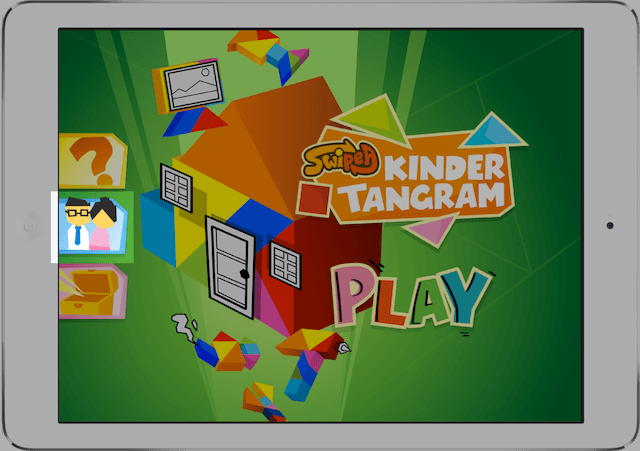 Tap on the "Open" button to launch Kinder Tangram. 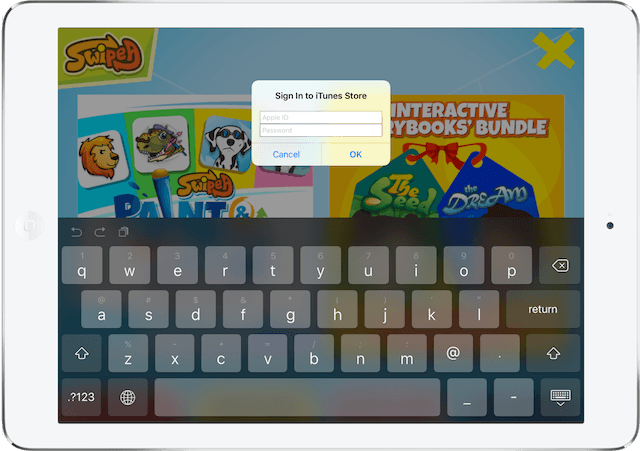 Step 4: Depending on the iOS version installed on your device, if you are prompted to enter your Apple ID password, please do so and iOS will automatically unlock the full version of Kinder Tangram for you. Else, tap on the "Parents" button located on the left side of the screen to manually obtain the full version of Kinder Tangram. Step 5: Tap on the 'Restore' button, located on the bottom of the screen. Step 7: Your iOS promo code redemption process is now complete. You now have the full version of Kinder Tangram.